Davis Downtown presents 2nd Friday ArtAbout, a monthly self guided artwalk, exploring art installations and receptions at galleries, art co-ops, and businesses in Davis. This free event offers art, activities, live music, complimentary wine and refreshments, and opportunities to converse with featured artists. Each exhibit is hosted by the individual businesses that make up downtown Davis, creating an intimate and diverse evening to explore. An average of 30 venues participate each month, hosting paintings, sculptures, jewelry, live music, dance performances, and more. Discover local and regional talent, new artistic styles, and unique creations while experiencing the vibrancy of downtown. 2nd Friday ArtAbout takes place on the second Friday of each month, with new businesses continually taking part. Come out with your friends and loved one and savor this local experience. [green button on the right] during the week of the ArtAbout). 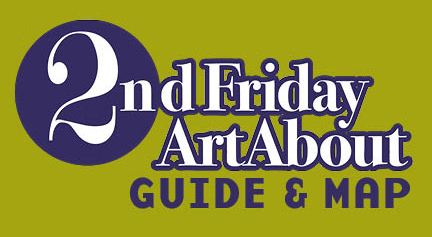 Refer to the buttons on the right: to access the 2nd Friday ArtAbout Guide and Map PDF, to sign up for 2nd Friday ArtAbout, and to get 2nd Friday ArtAbout sponsorship information. 237 D St., Miriam Lim brings colorful paper molas to display – collage.